C = normxcorr2(template,A) computes the normalized cross-correlation of the matrices template and A. The resulting matrix C contains the correlation coefficients. You optionally can compute the normalized cross-correlation using a GPU (requires Parallel Computing Toolbox™). For more information, see Image Processing on a GPU. 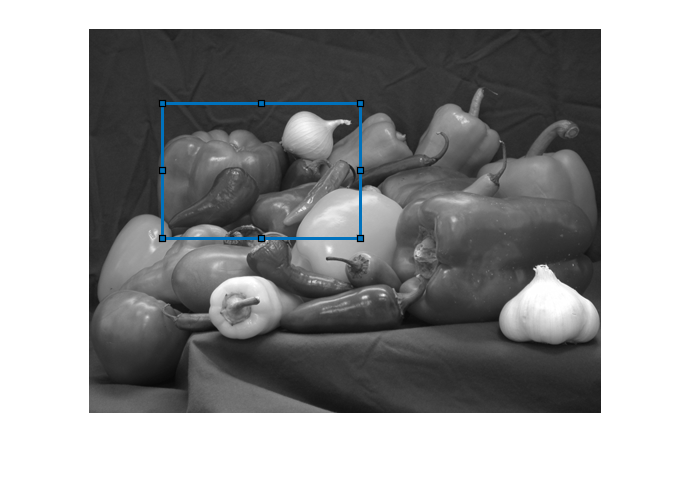 Read two images into the workspace, and convert them to grayscale for use with normxcorr2. Display the images side-by-side. Perform cross-correlation, and display the result as a surface. Find the peak in cross-correlation. Account for the padding that normxcorr2 adds. Read two images into gpuArrays. Convert the color images to 2-D grayscale. The rgb2gray function accepts gpuArrays. Move the data back to the CPU for display. Input template, specified as a numeric matrix. The values of template cannot all be the same. To perform the computation using a GPU, specify template as a gpuArray that contains a numeric matrix. Input image, specified as a numeric image. A must be larger than the matrix template for the normalization to be meaningful. Normalized cross-correlation is an undefined operation in regions where A has zero variance over the full extent of the template. In these regions, normxcorr2 assigns correlation coefficients of zero to the output C.
To perform the computation using a GPU, specify A as a gpuArray that contains a numeric matrix. Correlation coefficients, returned as a numeric matrix with values in the range [-1, 1]. If the correlation coefficients are computed using a GPU, then C is returned as a gpuArray containing a numeric matrix with values in the range [-1, 1]. 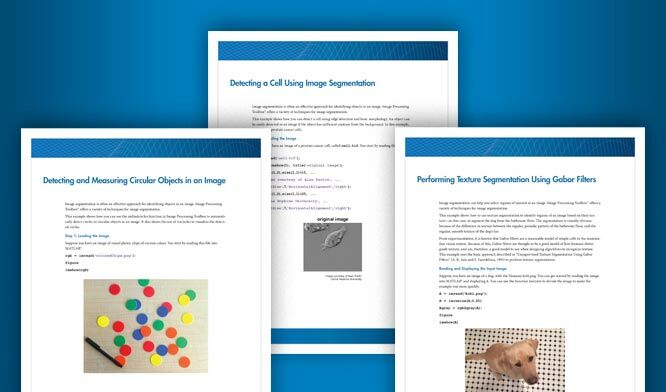 Calculate cross-correlation in the spatial or the frequency domain, depending on size of images. Calculate local sums by precomputing running sums . Use local sums to normalize the cross-correlation to get correlation coefficients. f¯u,v is the mean of f(x,y) in the region under the template. This function fully supports GPU arrays. For more information, see Image Processing on a GPU.